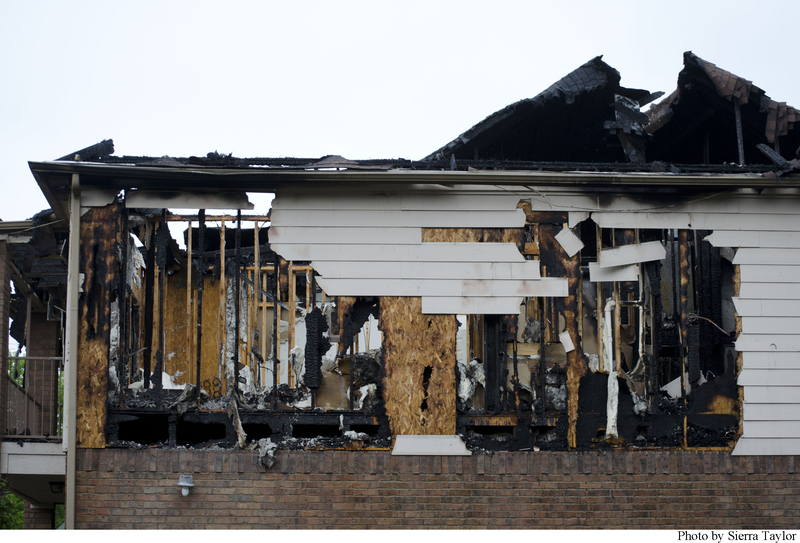 The fire was started by a lightning strike Wednesday, March 20 approximately at 3:45 a.m. Firefighters were called to TWU’s campus in the early morning Wednesday, March 20, when a fire started at TWU’s off-campus Lone Star Apartment buildings. Students were evacuated from their homes at 600 Texas Street at around 4 a.m. and transported to the Student Union. The Denton Fire Department reported no injuries and investigators say that the fire was caused by a lightning strike. place for situations like these worked very well. 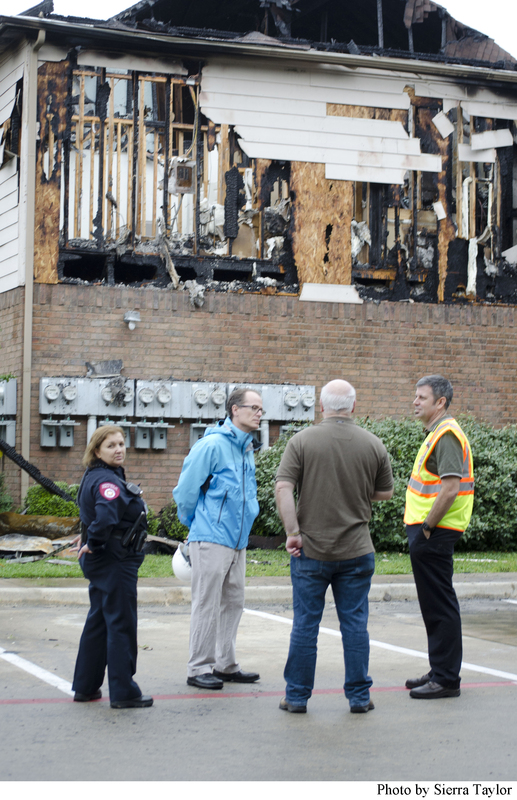 Campus and city officials discuss the damage caused by the fire. There are 16 students who were permanently displaced by the fires, those students lost a number of personal items, but there have been a number of different fundraisers put on by the community. Student Veterans Association, SPARK, Athletics and other TWU organizations have begun raising money for these students. The university has also set up an emergency fund for students in crisis and it has received over $20,000 in donations. Eckardt said that she has not seen a dollar figure for the damage to the building, but a fireman advised that they should tear the building down and build new. Eckardt added that it has been very heartwarming to see the community come together and want to help the students that were affected.